Bring the water, vinegar, and salt to a boil in a medium saucepan over medium heat, stirring to combine and dissolve the salt. Remove from the heat, cover, and set aside. Put the ginger, turmeric, and peppercorns into the bottom of a sanitized 1 quart, wide-mouth canning jar. 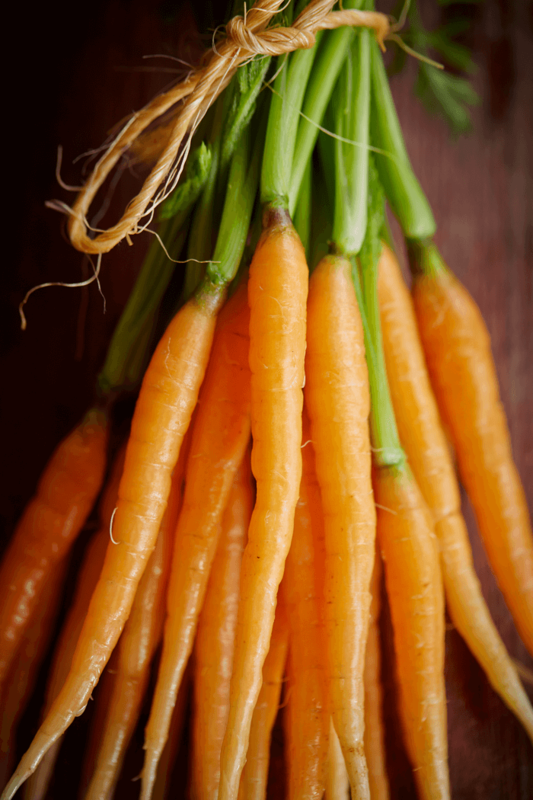 Remove the tops and trim enough of the bottoms of the carrots to be about 1 inch shorter than the height of the jar. Then, cut each into halves or quarters depending on its thickness so that the pieces are about ¾-inch thick. Using a canning funnel pour the warm vinegar mixture over the carrots, stopping about ¼-inch from the top. Put on the top and refrigerate for at least 12 hours, but up to 2 months. * If fresh ginger and/or turmeric are unavailable substitute 1½ teaspoons of ground. Rather than put in the bottom of the jar, whisk into the liquid just before adding to the carrots. Whisk the water and salt together in a medium bowl to dissolve the salt. Using a canning funnel pour the salt water over the carrots, being sure they are covered by ½-inch, and stopping about ¼-inch from the top. Weigh the carrots (see Note on weights). Cover the top of the jar with a clean kitchen towel or paper towel, securing the top with a rubber band. 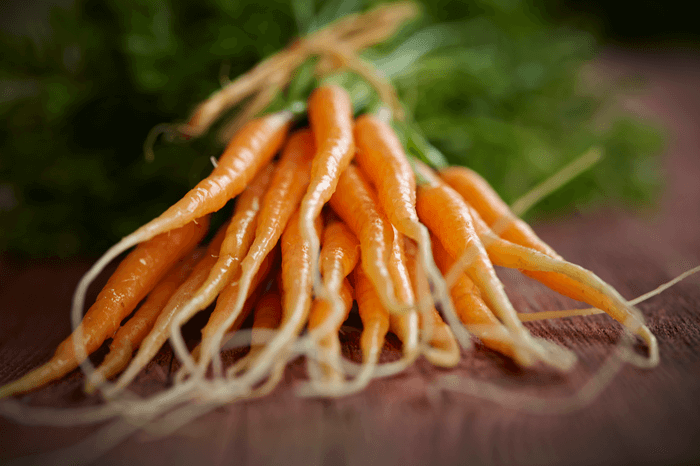 Keep on the counter for 1 to 2 weeks, skimming the top daily to remove anything that may have floated to the surface, until the carrots have reached the desired level of sourness. At this point, replace the weight, cover again with the towel and rubber band, and keep in the refrigerator for up to 6 months. Note on weights: To keep the carrots submerged, put a reusable plastic bag filled with salt water, a smaller jar, a ceramic weight, or a scrubbed and boiled river rock on top.